Relentless. That describes all of my millionaire friends, from Bedros Keuilian to Isabel De Los Rios to Joel Marion to Porter Stansberry. And do you know what drives them to be relentless? 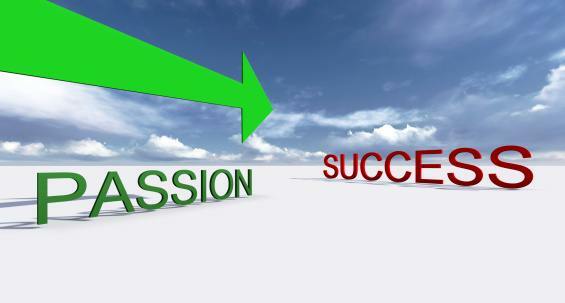 This passion allows them to solve problems, and to profit from delivering valuable solutions to the world. It’s a beautiful, wonderful life when you get this formula right. Let me tell you a little bit about my story…and how my passion drove me to be relentless. Then I’ll show you 5 ways you can Profit from Your Passion. Between 2003 and 2006, I fought for every spare minute between my personal training sessions that I could use to work on my business. I worked while riding the bus at 5:30am on the way to the gym in downtown Toronto, on streetcars as I traveled from one client’s house to the next, and on the crammed subway each night on the way home.Eventually I made enough money that I was able to stop training clients a few afternoons each week. Then it became two full days per week that I could devote to my online business. It was about a six-month process to go from full-time trainer in January 2006 to full-time Internet business owner by June, but that was one of the greatest accomplishments of my life – all while dealing with anxiety issues that left me in the emergency room twice. It wasn’t the sexiest way to succeed nor was it an overnight success, but it was an experience that taught me a lot of lessons that I can pass on to you, so that you can build a profitable business much, much faster. As I traveled the rocky road of entrepreneurship while chasing my dream, I discovered how to create what I cheekily call, “The Profit Pyramid scheme“. But this wasn’t like a pyramid scheme that my buddy Chris lost all his savings on back in college. My Profit Pyramid is legal, ethical, and mutually beneficial, and has made the world a better place.It’s the exact system I used to go from struggling personal trainer to world-traveling writer, famous fitness expert, and owner of Early to Rise. Not only is the Profit Pyramid essential to the long-term health of your business, but it’s also your ticket to designing the lifestyle of your dreams.In 2003 I bought a book that finally showed me the exact blueprint to building an online business. Everything I had studied before led me to a dead end. Then I found a fitness business coach named Eric Ruth promoting a manual, Info Millions, by Bob Serling that paved the path to my success. In his book, Serling described something called a product ladder. Others refer to it as a product funnel. It’s what I call the Profit Pyramid. No matter the name, the system is simple. Your number one goal, as Mark Ford also writes in Ready, Fire, Aim, is to learn how to sell your front-end product. This helps you create your customer list. Without a customer list, you have no business. It doesn’t matter how many hundreds – or thousands – of “Likes” you have on Facebook. You can’t cash those in at any bank. If you’re able to sell your first product, you are then able to build a foundation upon which your Profit Pyramid will rest. The bigger you build the base, the higher your pyramid will reach. Selling the first product is simple. In my case, I turned my love of short workouts – and my passion for writing fitness articles – into a small e-book, Turbulence Training, that I first sold online in 2003 for the whopping price of $9.95. Each month I would improve the product and raise the price. Little did I know I was following my mentor Mark Ford’s advice and Firing without Aiming. The key for me, as it will be for you, was to simply get it out there, fail forward, keep learning, and constantly improving.It won’t take you long to do the same. Get your product done in a weekend, tell your email list or Facebook fans about it, and you’ll generate your first sales. That’s how you get started. It’s not rocket science. You might even be able to get some affiliates to promote your product and send you some customers.Once you get to this point, you still won’t be able to quit your day job. Not yet. You need to build another level of the Profit Pyramid on top of your foundation. This requires you to build your business around what are called, “back-end sales”. It involves adding more value to your customer’s lives by offering them more products to buy, and it means doing it as soon as possible. Many beginner marketers make the mistake of waiting too long to sell another product to their list. But experienced marketers know that the best customer is one that made the most recent purchase. This is the Profit Pyramid of most successful businesses. Don’t wait. Don’t hesitate. Get busy and make your new customers new offers using this list of big ideas. #1 – Create More Products/Services for Your Customers. This is the most important thing you can possibly do in order to increase your NET profits – that is, the money you actually get to keep. Apple offers an almost endless list of accessory products to people that have bought iPhones and iPads. Home Depot will try to sell BBQ accessories to customers that recently purchased a new BBQ. There are no shortages of examples, and you’ll probably experience this follow-up marketing in your own life today based on a recent purchase you made. Learn from this and make the most of this opportunity to add more value to your new customers. #2 – Make Complimentary Offers of Affiliate & Joint Venture Products. Do this as soon as you’ve run out of your own products to offer them. This is a great way to make money, although you run the risk of spreading around your customers. It’s a bit of a double-edged moneymaking sword. That’s why when all else fails, stick to rule #1 as much as you can. #3 – Create a Recurring Revenue Program. This could be a membership site or a “Product of the Month” club. However, it’s not easy to get permission to put people into membership programs, but if you can create an incredible offer based on the foundation of a Big Idea, you’ll increase the stability of your business knowing that you have guaranteed money coming in every month. Over deliver and add value to the world to keep your members happy. My business partner, Bedros Keuilian, loves to give Peanut Butter of the Month Club subscriptions to friends, and I’ve seen businesses offer everything from books, wine, bacon, and even “Mustard of the Month” membership programs. I’m sure you can find something to deliver on a monthly basis as well.#4 – Create a Higher-level of Elite/VIP Membership. One of my long-time Publishing Partners, Mike Whitfield, recently took my advice and started a high-priced monthly coaching program. He was thrilled with how fast it sold out. There will always be a significant portion of people at the top of your profit pyramid that are happy to give you more money for more value. Don’t be afraid to ask for more money once you have more value to deliver. This will fund your front-end sales efforts so that you can grow the base of your pyramid, and thus, increase the peak of your profit pyramid generation efforts. Seminars, video packages, coaching, masterminds, and consulting are all great ways to service your clients with ultra-high value offers. #5 – Sell More Products More Often. As the legendary Zig Ziglar once said, “Go out and sell something. America needs the business!” He was right then, and he would still be right now. You should have a product theme for each week. You should have such a catalog of products that you can sell and cross-sell them more value on any given day of the week. Don’t always rely on promoting affiliate partners because of that double-edged sword where you trade out your customers email address in exchange for a simple sales commission.You know how hard it is to get customers, now treat them right.They bought from you. They are invested in you. Now is your chance to deliver more of you to them. That’s the best place to start. Keep your customers in your life. Treat them like your best friend. Deliver the products you’d want if you were in their position. Show them the way, and they’ll reward you for life by helping you build your Profit Pyramid. BONUS – Build the Relationship.This is a priority at all times. From the welcome email readers receive the first time they discover your business, to the community presence you create through social media, the customer service you provide and even to the personality you inject into your dedicated offers, you must always be adding value and building a stronger bond with your customers. The more you can get them to know, like, and trust you, the easier it will be to sell them even more products – and profit from these back-end sales. That’s the final touch to add to the Profit Pyramid Power. And that’s how you harness your relentless passion into Profits! If you want my personal help in building your online business, join us here, where we will deliver the EXACT blueprint for online success. We’ll show you how to start from nothing, make your first sale, and implement your sales system so that you can profit from your passion. You must become the person you need to become in order to achieve the big goals and dreams that you want to achieve. You must do the right planning, take the right actions, make the right decisions, and eliminate the wrong obstacles that tempt you into wrong behaviors. Have a good attitude. Enjoy the journey. Look on the good side of things no matter what you are going through. Stay strong. It gets better. And an amazing life can be yours when live the Internet Lifestyle Dream.